Looting and rioting took over Haiti after the government announced a hefty price increase for fuel products on Friday evening. By Sunday, the protests had turned deadly as police responded against protesters and looters with live fire. Hotels, in turn, were burnt and looted. Several US carriers (like American Airlines and JetBlue) already announced flight cancellations to the capital Port-au-Prince as the US Embassy in Haiti advised personnel and US nationals in the country to take shelter. European airlines had not taken a decision just yet. The state department explained it was aware of vandalism at a Best Western hotel (where, according to local media, several American tourists were staying) and at an American Airlines office in the capital Port-au-Prince. "At this time, we have not received any reports of US citizens injured in the incidents." "The poor people want to be able to eat," a masked protester explained "I want to tell President Jovenel Moïse that Haiti is not for him and his family. Haiti is for every Haitian. He needs to leave the country and leave the country to us so we can live." 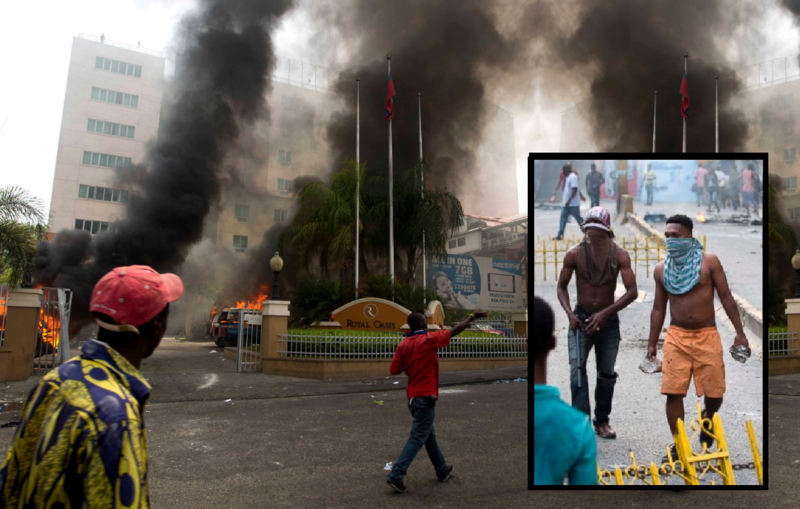 Haitan Prime Minister Jack Guy Lafontant, seeing several dead in the streets already, tried to ease tension by announcing a temporary suspension of the double-digit government increases, but to no avail so far. Didn't Conan tell us Haiti is beautiful? Obama / Bush imported ONE MILLION of these SAVAGES to the USA. i hope that the hurricane wipes them off the map so that Trump can go down there and turn Haiti into a vacation paradise.